Let me let you in on a little secret: Greater Des Moines has amazing biking trails. 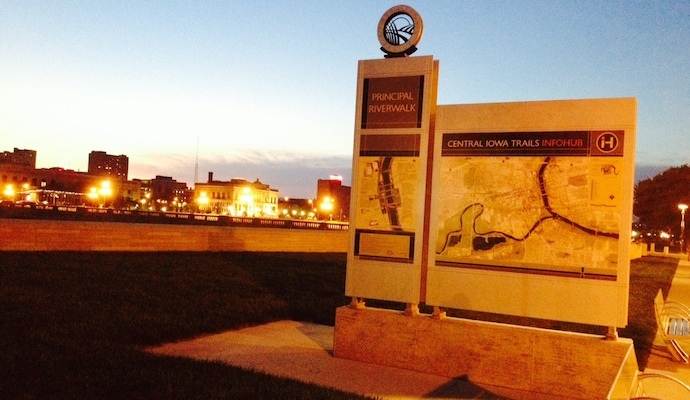 Okay, so it’s not really a secret… but did you know Iowa has 1,200 miles of trail systems? Did you know the top three largest daily rider counts during the Register’s Annual Great Bicycle Ride Across Iowa (aka RAGBRAI) all happened in and around Des Moines? And did you know Des Moines is brimming with resources so you can get your get your bike on, all over Central Iowa? First, don’t feel like you have to lug your bike with you on vacation. 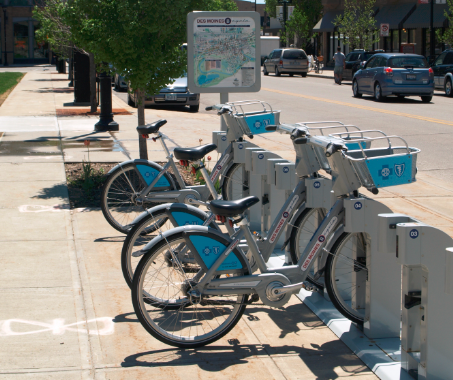 Downtown Des Moines offers six B-cycle locations for quick and inexpensive rentals. For longer excursions, try the local Parks and Recreation departments for more bike rental options. 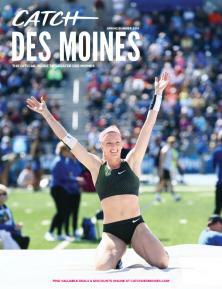 Second, download the Iowa by Trail app for your SmartPhone. (YES, there is an app for that!) 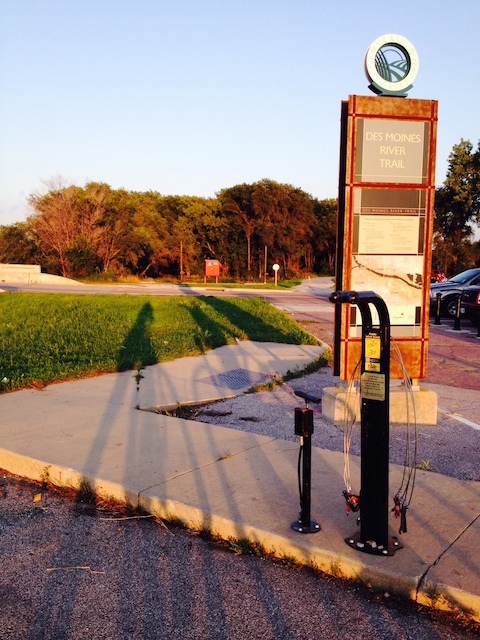 The Greater Des Moines trail systems are extremely user-friendly. Even without the app, most major trail crossings post directional signage, including mile markers, so you always know where you’re at. Plus many trail entrances have huge regional maps so you can plan your route. A few intersections also have tools for a quick tune-up in your time of need—like this area near Mullet’s. Speaking of Mullet’s, Des Moines is a biker’s brew heaven. With cyclist favorites including 515 Brewing Company, Exile Brewery and Confluence Brewing Company—spandex is the norm. 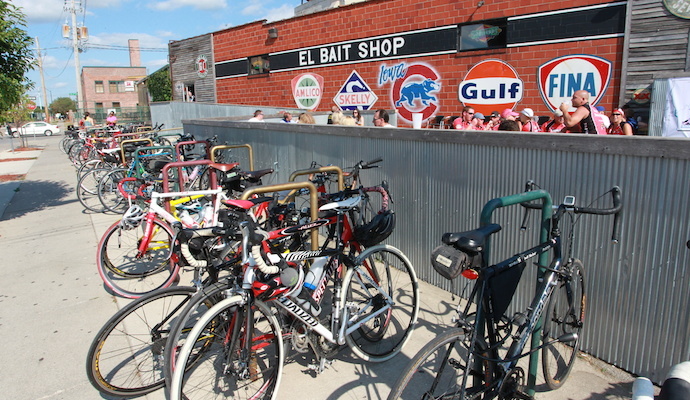 El Bait Shop and High Life Lounge (pictured below) were a big hit during RAGBRAI 2013. 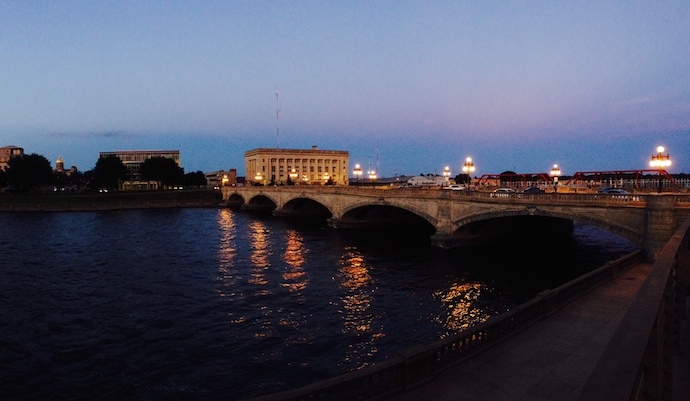 When I bike around Downtown Des Moines, there’s always a destination in mind. And the trails are the perfect gateway. I’ve biked to putt-putt golf at the North Forty. I’ve biked to lunch at Gateway Market or fro-yo on Ingersoll Avenue. 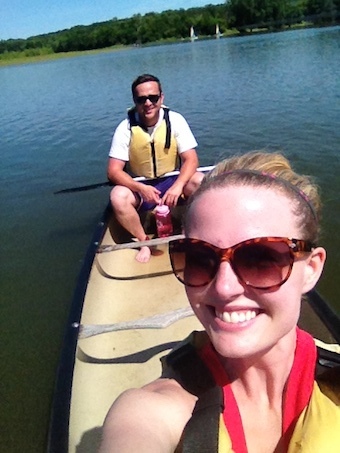 I’ve biked to Gray’s Lake for even more outdoor adventures—like paddleboat, canoe and kayak excursions. 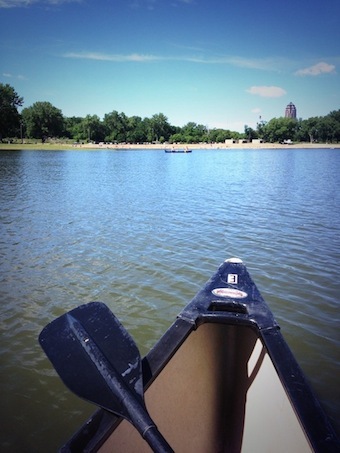 I also have a sweet spot for anything near the Des Moines River. I especially enjoy the Iowa Women of Achievement Bridge or the trestle-like Des Moines Red Bridge for a peaceful bike break. The Principal Riverwalk along the river connects with many of the regional trails in the heart of downtown. The HubSpot is a favorite for a craft beer on the patio, a pick-up bags match or a quick bite to eat. 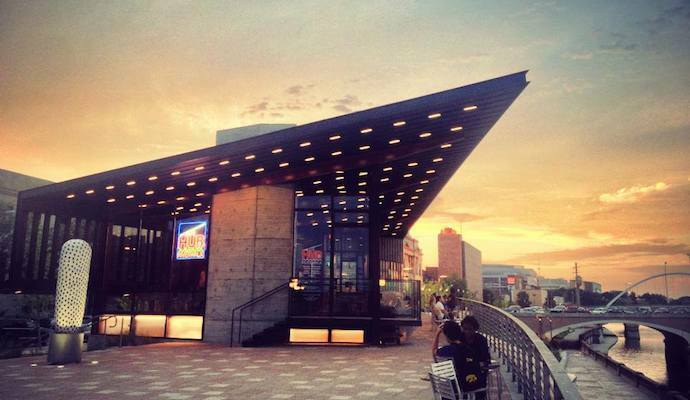 Across the river, bands can be heard at the Simon Estes Riverfront Amphitheater. It’s gorgeous at sunset! Another resource to tap: the Des Moines Bicycle Collective’s self-guided bike tours ranging from six to 18 miles. Love history and hills? This route is for you. 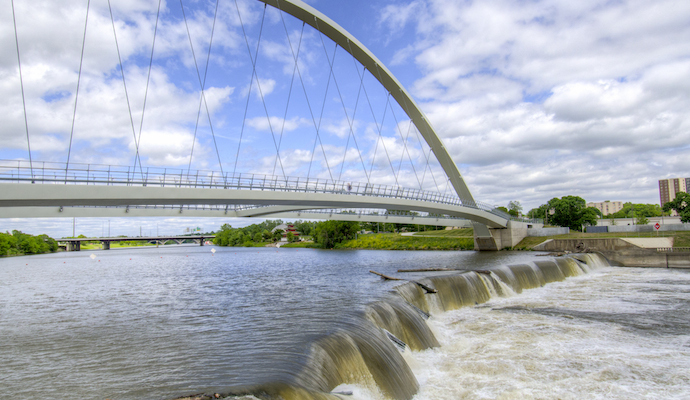 Whatever your level of bicycle crazy—whether avid cyclist or, like me, in it for the beer at the finish line—Des Moines’ trails are a must-experience! So get out there and ride!